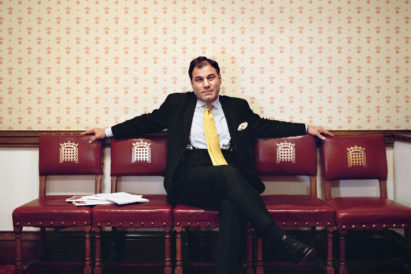 The maxim goes that too much choice isn’t good for anyone, and when it comes to choosing the perfect date spot in London from the swathe of locations available, this can ring particularly true. If you are tasked with organising that all-important first date this winter, then it is crucial that you choose wisely — pitch the venue wrong, and you’ll find yourself heading home solo. Get it right however, and you might just have ignited a lifelong love affair. 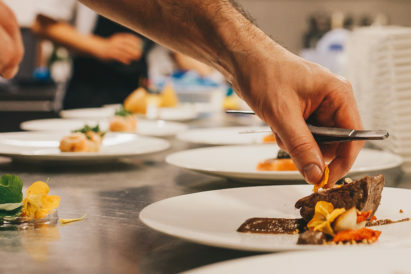 With this in mind, we have curated a list of the best restaurants, pop-ups and venues to take the date you’re really hoping to impress this winter. Whether you’re looking to cosy up in a ski cabin in SW3, or brave sub-zero temperatures in an ice bar — read on for our definitive list of the best date spots to spark romance in the capital this season. For the old romantic who’d love to whisk his date away for a trip to the alps but is rather pressed for budget, this pop-up allows Londoners who aren’t able to escape to the mountains a refuge in the city. Chel-Ski, London’s largest indoor ski slope have collaborated with Bluebird Chelsea, to transform their terrace and winter lodges into an alpine wonderland. 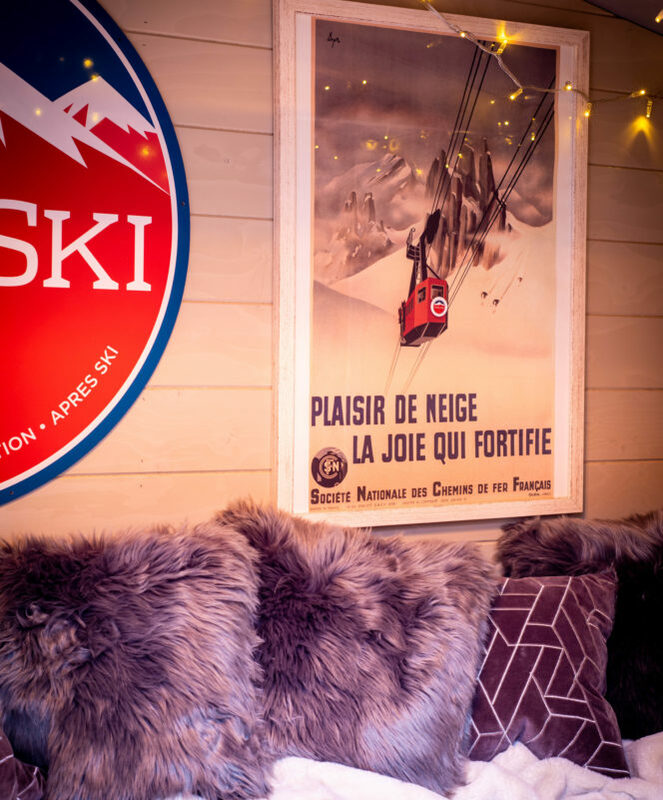 Sponsored by Ketel One, the alpine lodges are decorated with old fashioned wooden skis and sledges, vintage posters and fur cushions. 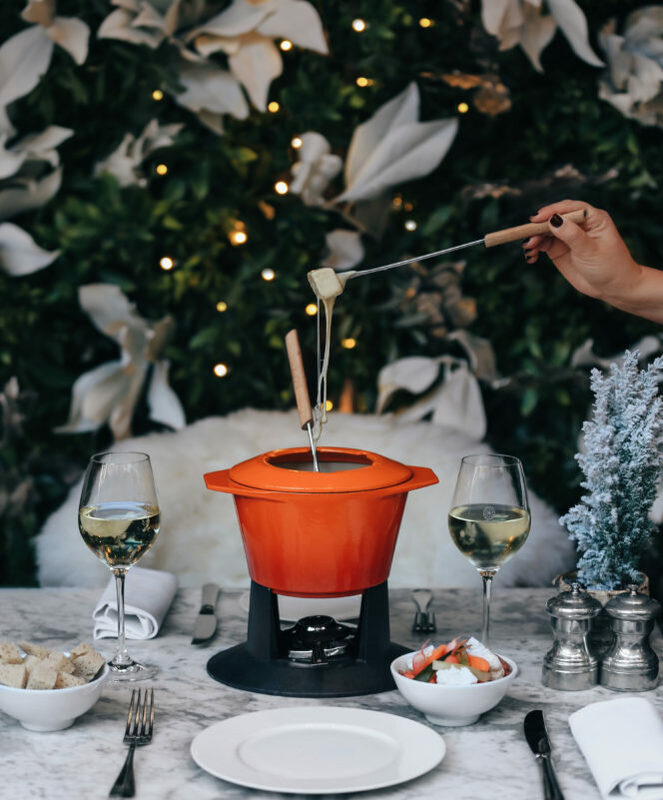 Cure any cravings with gooey cheese fondue, boozy hot chocolate and warming cocktails which are all served to create an idyllic après vibe. Set in the heart of literary Bloomsbury, The Bloomsbury Club Bar takes inspiration from the lives of the famously hedonistic Bloomsbury Set. 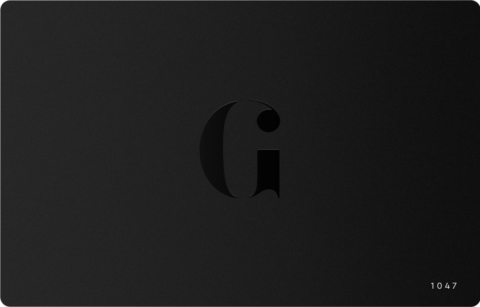 Split into two areas, we suggest that you save the dark lighting of the plush original bar for at least date four — and begin proceedings at the secluded, heated outside bar. The design of this romantic hideaway is perfect is you’re looking to avoid things seeming a little too intense, but still earn some serious brownie points. Book here for a venue that ticks all the boxes for a bohemian space — with everything from exposed brickwork to a canvas of fairy lights. Described as ‘One of London’s most Instagrammable restaurants’ by the Evening Standard, Dalloway Terrace has once again transformed into an icy haven of crystallised white, pink and silver petals for winter. And, if you’re looking for the perfect excuse to snuggle up, the outdoor terrace comes complete with cosy hot water bottles, Foxford woollen blankets and a chiminea on the patio. Continuing with our wintry theme, it doesn’t get much cooler than the Belowzero Ice Bar. 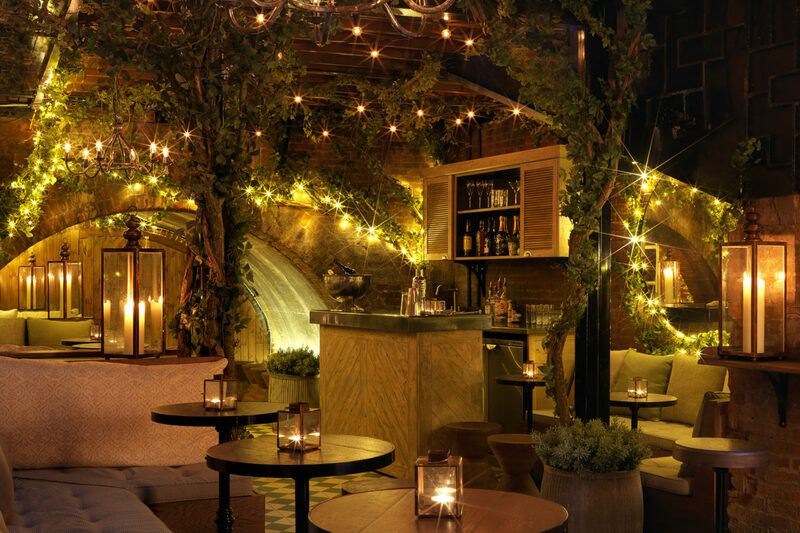 Located in the heart of the chic Heddon Street Food Quarter, this date spot is an iconic frosty venue, where signature ice cocktails are served on the rocks at -5°C. 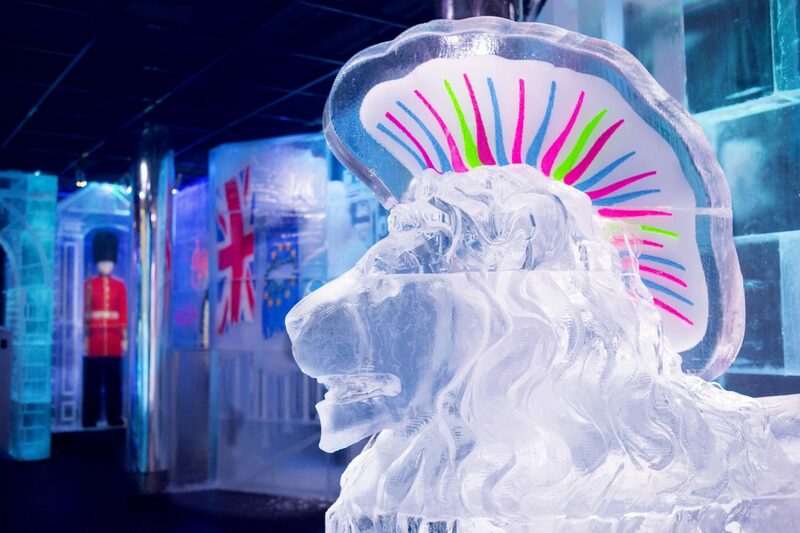 Once a year the entire Ice Bar is completely transformed with a new design theme and layout by a team of skilled ice designers and sculptors, with the current theme being an appropriate love letter to its host city: ‘London Land’. Expect a giant punk-rock Trafalgar Square Lion, a frozen Taxi Cab, and walls covered in Banksy-esque street art. Perfect for taking the date who you want to make a lasting impression on. Only in Peckham can you sit outside and admire London views in winter — and it’s all thanks to the Bussey Rooftop Bar. 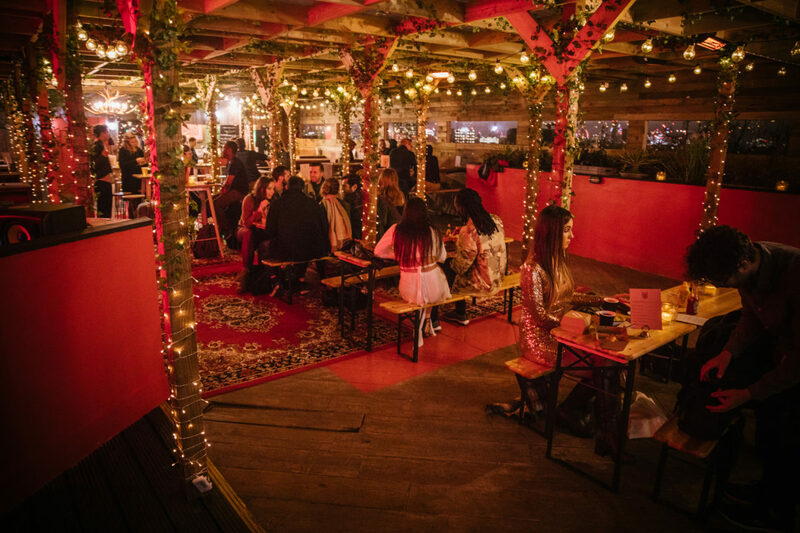 For the first time during the colder spells, the beloved rooftop location is doing away with its sunkissed beach retreat look to reopen its doors and offer Londoners a winter wonderland set amid glowing lights and cosy pergolas. If you’re hoping to add a little something extra to your date, Bussey are hosting a range of live music events throughout winter and spring, with a fantastic lineup of DJs including EVM128, Jive Talk and Larry Sun in the calendar. Perfect for taking the date who prefers their evenings to have a soundtrack. 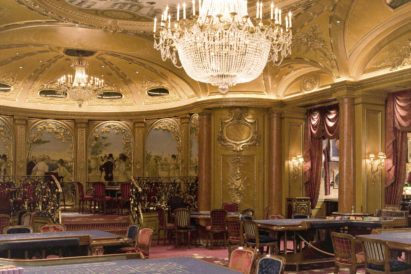 When they aren’t providing a backdrop for your favourite Bond scenes, these gaming clubs are determining some serious fortunes and losses.